Lenovo’s website has given a clue to what its first Haswell powered Thinkpad will be and its looking like it will be the T440s with a nice roster of features. 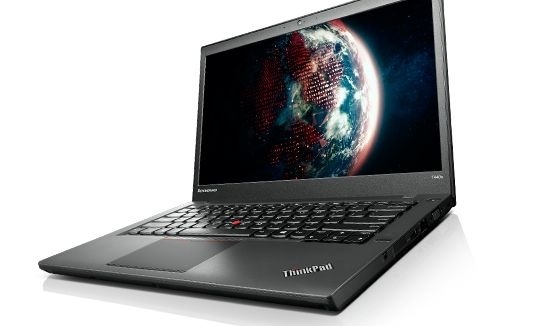 While the official web page seems to have had any mention of the T440s removed our source sites were able to gather the spec sheet will include a 14″ high resolution display with 1600 x 900 and 1920 x 1080 screen options as well as a touchscreen option, a carbon fiber and magnesium case, optional NFC, spill-resistant keyboard with a pointing nub, and a 5-point touchpad with click and gesture support. Also included will be VGA and Mini Displayport connections, 3 USB 3.0 ports, SD and smart card readers, noise-canceling microphones and stereo speakers. It will also boast Lenovo’s Power Bridge Battery feature which allow you to swap out the external battery without having to power down the laptop. The ThinkPad T440S will weigh 3.5 pounds (1.58kg) and will be 0.83 inches thick. Pricing and availability are unknown at this point.